Rational counting refers to a child's ability to assign a number to the objects she is counting. As she counts a set of objects, the child must understand that the last number is equivalent to the total number of items in the set. Rational counting requires a mastery of rote counting and one-to-one correspondence. 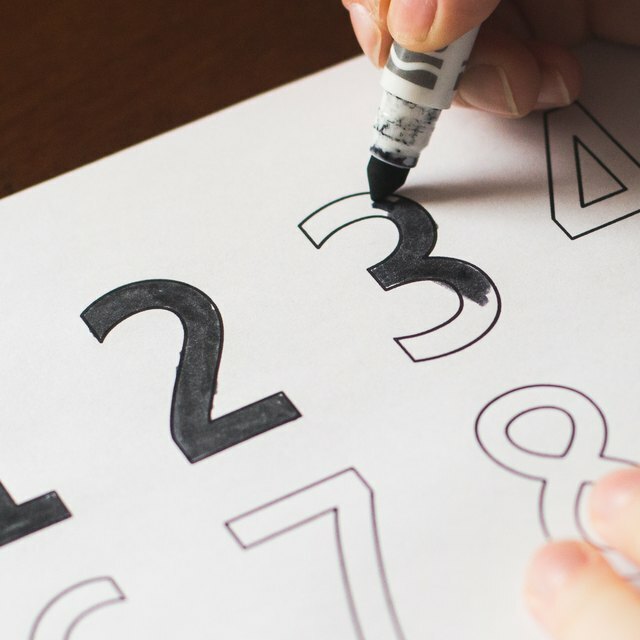 These activities will encourage students to connect numbers to their counting. Draw or print 10 ice cream cones and 10 ice cream scoops. Use brown or tan paper for the cones and pink, blue, green or yellow for the scoops. On each cone, write a number from 1 to 10. On each scoop, place stickers or draw items to represent a corresponding number of items. Students must match each cone to the scoop with the corresponding number of items. For an ice cream cone and scoop template, see preschoolrainbow.org. Using a dark marker, write the numerals 1 through 10 on the bottoms of paper muffin pan liners. Give students bingo chips, beans, buttons or coins. Have them count the correct number of items to match the number in each liner and place them inside the liner. As an alternative, write numbers in the compartments of an egg carton and have students count objects to match those numbers. Cover five large coffee cans with self-adhesive paper. Write the numbers 1 to 5 on each of the cans. Draw a corresponding number of dots on the cans. Make 15 beanbags with socks filled with beans that are tied or sewn closed. On each beanbag, draw one to five dots. Have each student choose a beanbag, count the dots and throw the beanbag into the correct coffee can. Play until all the bags are tossed into the cans. Allow two or three students to play the game together. You will need 20 large craft sticks and a dark magic marker to create this matching game. Write the numerals 1 to 10 on 10 of the craft sticks. On the other 10 sticks, draw one to 10 small shapes: circles, hearts, diamonds and so on. Once the sticks have dried, give them to a student. Have her match the numbers to the correct number of objects. Allow students to work in pairs to match the sticks to make the activity feel more like a game. Seehorn, Ashley. "Activities for Rational Counting for Preschool." Sciencing, https://sciencing.com/activities-rational-counting-preschool-8416249.html. 24 April 2017.